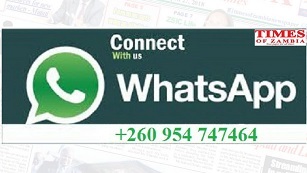 I WAS shocked to learn from the former Information minister Chishimba Kambwili’s revelation that there’s an aggressive propaganda campaign to destabilize the PF through outright lies and misinformation being published in some sections of the media with the intention of pitting PF members against each other. I thought for a long while about when the most popular political party in Zambia will be liberated from this type of outrageous behaviour from the cartel-controlled media. Perhaps fearing the adverse publicity this was generating, Chishimba Kambwili has called on the PF leadership to close ranks and stop name-calling to remain united and focused in the face of many challenges that the party is facing. Perhaps predictably, though, the former Information minister’s widely quoted motor-mouth has since gone quiet in the private media and the PF’s continued to grow united, strong and organised following President Edgar Lungu’s announcement of his intention to stand in 2021. Admittedly, I strongly believe now is the time to lift the enviable ruling party from the seemingly barren intra-party democratic wilderness to the solid rock of strength and stability. Indeed, I believe that now is also the time to rise from the dark and desolate valley of the protracted and fratricidal war-of-words between the PF old-timers and the PF new-comers, to the path of dialogue and to an egalitarian way of life. Ultimately, there would be nothing so satisfying to the spirit or so defining of the PF’s original character, than ensuring lasting stability for the ruling party to survive and thrive. Adopting this as the PF leadership’s guiding principle, PF will be able to transform the apparent discordant strains of factional conflicts within itself into a beautiful symphony of brotherhood and unity, regardless of the cartel-controlled media backlash.